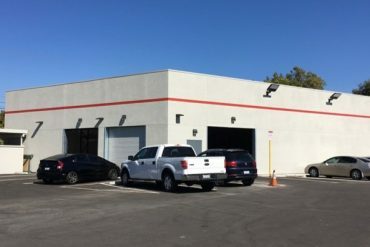 We’ve signed a lease for an additional 16,000 SF of space near our Santa Ana, CA facility for additional manufacturing, inventory, and technical / laboratory space. We look forward to building out the area for additional capacity and infrastructure. 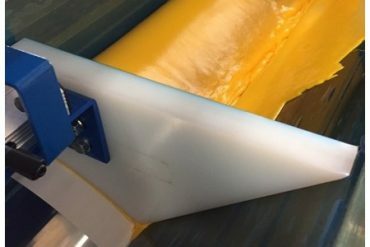 We are proud to announce the addition of a dedicated Unidirectional Hot Melt Film Coating Machine to produce up to 25” wide unidirectional prepreg capable of producing fiber areal weights down to 60 gsm with on-line slitting capabilities. 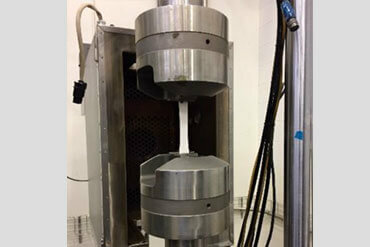 Our process engineering team helped design and install a more accurate resin coater head for Hot Melt Machine #2 to achieve improved areal weight consistency for our film adhesives and prepregs. 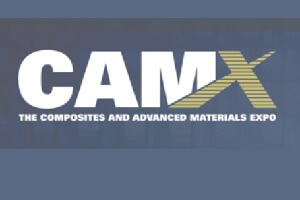 The Composites and Advanced Materials Expo (CAMX) moved from October to December. We opened a matrix and adhesive formulating laboratory in Henderson, NV in Fall of 2016. This facility will help us to continue to drive forward innovation and flexibility in the advanced composites market. Axiom has completed an aggressive expansion of its Santa Ana facility to offer much needed warehouse capacity. The expansion has more than doubled our warehouse space and enables improved product flow through our facility. 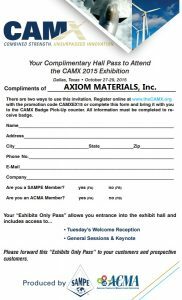 We are excited to announce we will be exhibiting at the CAMX expo from October 26 to October 29. 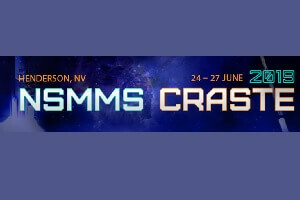 Drop by booth F64 where our knowledgeable staff can help you get your hands on our prepreg, data sheets, and much more. 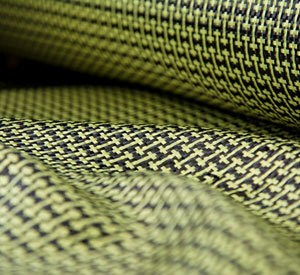 Our unmatched service and quality composite materials will be waiting for you! 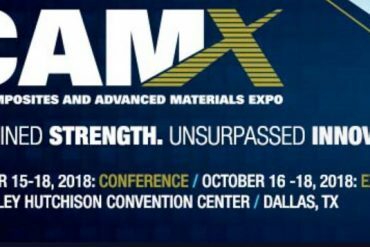 Laboratory & Warehouse Expansions Axiom Materials, Inc. announces plans to expand laboratory & warehouse spaces at the main plant in Santa Ana, CA. 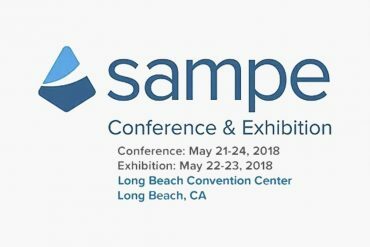 Enhanced facilities will support the Company's growth in response to high demand for continued speed & flexibility in advanced composites materials supply, as well as offer improved workflow & environments for the additional testing requirements of our customers. While both projects are in early stages, estimated completion is currently February 2016. 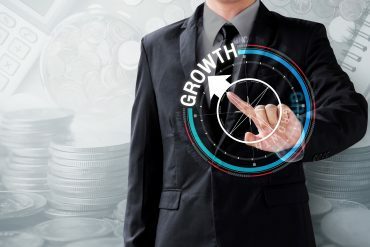 Capacity planning efforts on both sides ensure that the Company can successfully respond to the steady incline we are experiencing in both our customer base and in the overall volume of orders received. Laboratory: The newly redesigned laboratory, located in our 2322 building, will nearly double the size of our existing laboratory. The upgraded lab will be outfitted with enhanced testing capabilities, improved technical controls, and additional storage, computing, meeting, and R&D spaces. The new laboratory has been designed not only to provide improved work-flow and efficiency, but also with enhanced mechanical and analytical testing capabilities coupled with improved temperature and humidity control systems. Warehouse: Expanding our adjacent warehouse space at 2320 will allow the Company to respond more quickly to our customers by enabling greater inventory of raw materials on site. The additional space for dry goods storage will allow the Company to outfit existing spaces for additional tooling, machinery, refrigeration, and shipping & receiving support. Opening new warehouse space will more than double our dedicated inventory footprint, in turn reducing burden on our suppliers and purchasing team, and enhancing the speed and flexibility with which we can respond to customers demands. 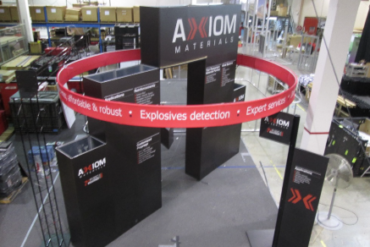 Axiom Materials, Inc. is pleased to announce the expansion of its production plant in Santa Ana, CA. The planned expansion includes the addition of two machine models, storage and inventory expansions, as well as a special process facility and upgraded office and meeting spaces. The equipment and spaces will be purpose-built for customers and projects requiring specific composite and adhesive products. Strategic Decision The decision to build the upgraded plant will increase production capacities for the company's existing successful composite and adhesive portfolio. In addition, the new plant expansion is a clear statement of the trust in the highly qualified staff of the company, and in their growth potential. Further development of the California location will support Axiom's agenda to remain flexible and competitive in the market. The investment also reflects the market success of the special product lines and services that Axiom offers. Installation Plans The final countdown is on for completion of the upgraded production area and new machinery. Technical installation and equipment drawings are currently underway and on schedule. Final implementation are expected to be complete by the end of Spring 2014. 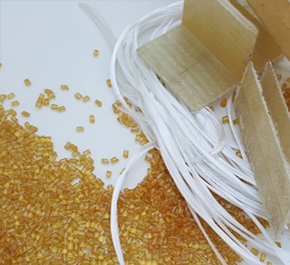 We are excited to announce plans for the installation of new hot melt prepreg machinery intended to enhance capacity for prepregs, unitapes, and film adhesives. 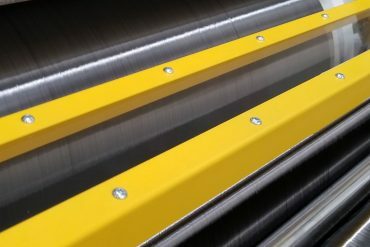 We are excited to announce plans for the installation of new hot melt prepreg machinery intended to enhance capacity for prepregs, unitapes, and film adhesives. The machinery is scheduled to go into service in second quarter 2013 and will nearly double current hot melt production capacity. 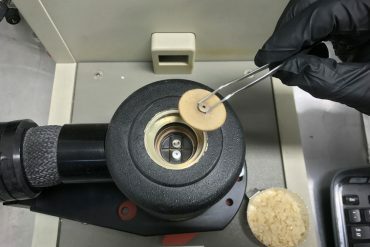 The equipment will be capable of producing one and two-side tack prepregs, unitapes, and film adhesives up to 62” wide. Newer qualification programs will be dual-produced on more than one machine to enhance supply security for key customers. Axiom Materials, Inc. is proud to announce formal certification to AS9100 Rev C / ISO 9001 quality system. The integration of our internal standard quality system with the AS9100 Rev C requirements had been underway for some 6 months prior to our second stage certification audit in September. Axiom is pleased to report that audit requirements were met with zero findings. 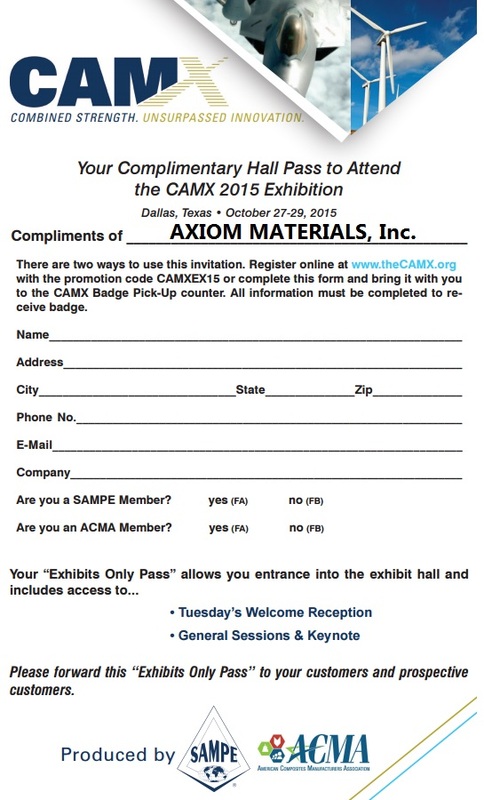 Certified facilities can refer to www.axiommaterials.com/quality for more details. Feel free to contact us directly for more details on our efforts to maintain the highest level of quality, and on our quality management system.